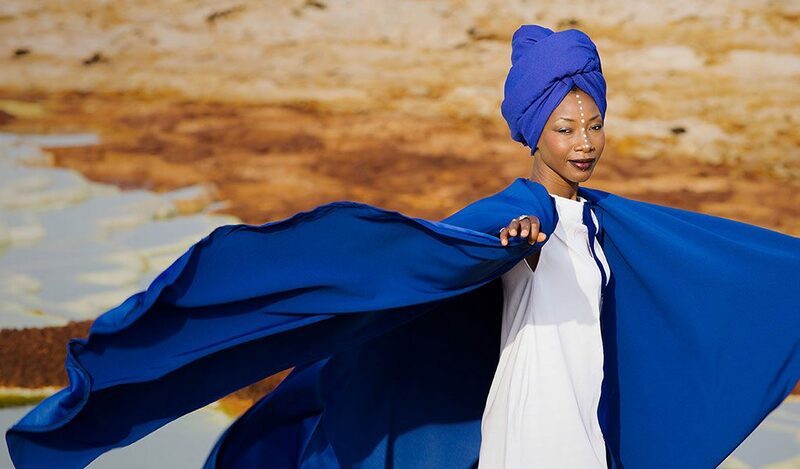 I had a chat with Fatoumata Diawara ahead of her appearance at WOMADelaide 2019. Brian: First of all, many congratulations on your nomination for this year’s Grammy Awards for your album Fenfo. Will you be attending the Awards Ceremony? Fatou: Yes, I’m going to go, definitely. Last year it was the Victoires de la Musique in France, so I’m familiar with the significance of the ceremonies. Brian: Many West African artists we’ve had at WOMADelaide have been in the wall of sound tradition, with horns, electric guitars and kora all competing for attention. But your new album Fenfo is much more spacious and open in style. Is that the style you prefer to use? Fatou: There are two different energies emerging. A recording is always very intimate, like a painting; it’s like going into my spirit. It’s going into the deeper side of my ancestral background. It’s very special to me. I don’t have to perform; I just need to be myself. I think this is my style. But on stage I’m a totally different person. I’m very energetic; there’s dancing; I could do rock’n’roll. I like people to feel good; I feel my music has a healing spirit, so I like people to feel free, to let it go. Brian: You have a strong sense of responsibility as a role model, particularly for the empowerment of women who’ve suffered greatly through gender inequality. Do you see signs of hope in the attitudes of young people in Mali? Fatou: Every time I go to Bamako now, I’m very surprised how much the new generation is following my music. Every generation needs a voice. It’s not the old mentality; it’s a different mentality now. The ways that I write my songs are more adapted to the new generation. Music is doing a great job in moving the conversation forward. Brian: Years ago, when the jihadists invaded Timbuktu, they targeted musicians and burned instruments. What do you think has been the ongoing impact on music in Mali? Fatou: I think we can say it was in one way positive. It was difficult for sure. It was impossible for people in Mali to understand that some people could actually hate music. How crazy is that? Don’t do that to Malian people. Toumani Diabaté, Sidiki Diabaté – we all came together to say “don’t touch the music; it’s the only thing we still have”. Music is the most important thing, even more important than politics. Music is an education. That’s why I took seven years to write for my new album. Brian: You’re a storyteller through your music, and in your song Nterini from new album Fenfo you tell the story of migration from the point of view of someone whose love has gone away in search of a better life. What is the background to that story? Fatou: We wanted to record the video in Ethiopia’s Afar Valley because it has such significance as a site of our female ancestors. For us it’s a reminder that we humans are not much different from one another, even if we look different. Who’s to say whose blood is more pure, or the most important? I like to remind people that migrants who have made their way to Europe all come from somewhere, a place and a culture. Just because they have decided to move doesn’t mean they should lose their dignity. Brian: We’re very much looking forward to seeing you on stage at WOMADelaide, particularly your collaboration with Sékou Bah, one of Mali’s finest bass players. Fatou; We are very excited to come too. We have two weeks in America, and then we head to WOMADelaide. Fatoumata Diawara will be on stage at WOMADelaide in March 2019, on Friday 8th and Sunday 10th. On Saturday 9th she’ll appear in a joint Artist In Conversation with Angelique Kidjo. This entry was posted in Activism, Culture, World Music and tagged African music, Fatoumata Diawara, Mali, WOMADelaide, world music by Brian Loffler. Bookmark the permalink.